Frank builds his client relationships on the foundation of timely response time and trust. He stays true to his word and makes sure his clients thoroughly understand all options when faced with a legal matter. His commitment to clients has earned him long-term relationships lasting more than 20 years. Frank demands the same client approach from all the school law attorneys in his department. As a member of the Firm’s Executive Committee, he champions firm initiatives that foster a client-first culture. He currently serves as solicitor and/or special counsel to more than 40 boards of education throughout the state of New Jersey. He has represented every type of school district, including pre-K-8, pre-K-12, regional high school, vocational, and special services districts. 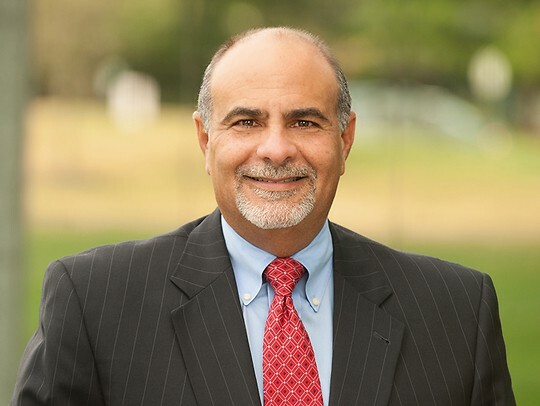 His extensive experience encompasses all areas of school law including general counsel, employment, labor negotiations, arbitrations and special education. Frank has handled Petitions to determine the Scope of Negotiations, Unfair Practice Charges, Representation Petitions and Tenure Arbitrations on behalf of school districts. He has assisted school districts in developing Individualized Education Programs (IEP) and shepherded districts, and their staff, through Mediations and Due Process Hearings. An important part of that process also includes providing regular in-service training programs for staff and administrators. He also provides a steady and forceful presence at Board of Education meetings. His overall philosophy of placing the clients’ needs first and providing solid legal advice has saved school districts time, effort and allowed for the most economical use of district funds. His practice crosses over into Local Government Law. He works with municipalities on labor and employment issues. He has also served as General Counsel to the New Jersey State Firemen’s Association since 2006. As lead negotiator for Pemberton Township Schools, Frank reached a contract agreement with the district’s largest bargaining unit, prior to the end of the school year for the first time since the 1970s. The resulting contract contained important concessions on behalf of the bargaining unit, most pronounced among them was a significant change in the health insurance package that could have resulted in large portions of the budget being devoted to health insurance costs, even with the Chapter 78 contributions. The PERC Decision Frank obtained in the Clementon Board of Education and Clementon Education Association matter was important for labor negotiations and Chapter 78. It firmly established that negotiations over Chapter 78 contributions could not occur until after the expiration of the collective bargaining agreement in which tier 4 contribution levels were reached. Decision firmly established that negotiations over Chapter 78 contributions could not occur until expiration of collective bargaining agreement in which Tier 4 levels were reached.